Despite a weather forecast to the contrary, today turned out to be a pretty nice day - windy, but sunny - and this evening was the same. It was a beautiful time to head down to South Beach. The first thing I saw out on the beach was an intact dead common murre. 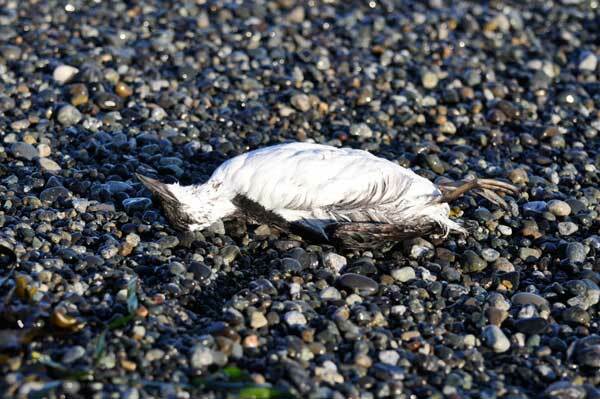 We don't get many stranded sea birds in the San Juan Islands, so I kind of wished I had found it on my COASST beach! Maybe someone else will find it and tag it. There were lots of (live) gulls about, mostly glaucous-winged and Heermann's. This looks to me like an immature glacous-winged gull, but I should probably let the gull expert Dave chime in to make sure. The most exciting find was a lone sandpiper. It took some deliberating and the consulting of multiple field guides, but I've identified it as a fall juvenile sanderling. 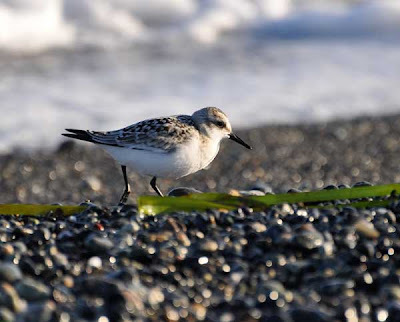 The bird looks remarkably similar to a semipalmated sandpiper, but after comparing to some additional photos and also given its size I've decided it's a sanderling. There have been fantastic shorebird reports from further south in the Puget Sound area, so I'm glad to get some migratory shorebird action up here too! 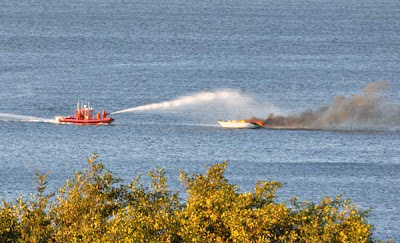 As we were leaving South Beach, we pulled over to check out a boat that was on fire in Griffin Bay. As we watched the fire boat came from Friday Harbor and put it out. I wonder what happened? 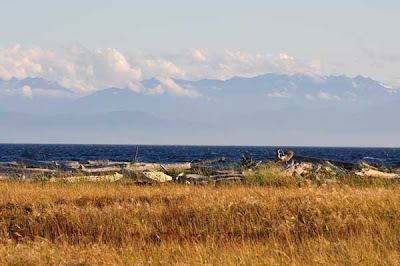 The seas were pretty rough out there by the looks of it, and I heard a fishing boat was sinking in the Cattle Pass area as well, so it was a good day to be on land! There have been a few whale-less days here, a rarity this summer. 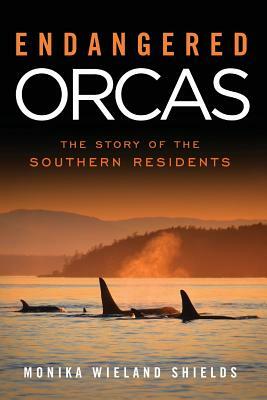 The Southern Residents had been in inland waters for 80 days straight before making a journey out to the open ocean. The word was they were heading back in this evenings though, so tomorrow could be a good day to be back out on the water and looking for whales! I'm chimin but to be honest haven't got a clue. The bill looks bicoloured suggesting Western Gull but then the under tail coverts are barred suggesting it isn't a 2nd winter bird. 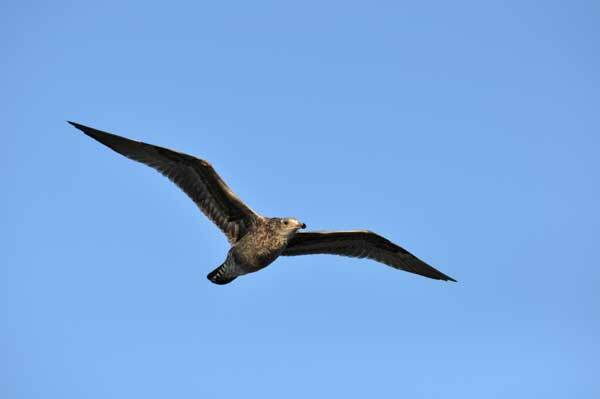 Might have to go for Am Herring Gull.